Where there is a group gathered together for whatever cause, comes a need for some good music! 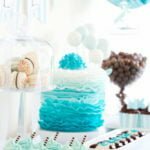 Baby shower music can simply just be background noise, or it can be the element of the shower that ties everything together. You can’t really go wrong; people naturally love a good beat for their feet! 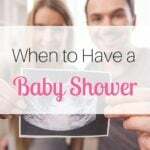 Just don’t make it an after-thought of your baby shower checklist. Everyone can enjoy the tasteful sounds and intricate notes from the world’s famous composers. Playing classical music can add a nice touch of elegance to the shower, and really compliments a shower that is more of a formal theme. Also, if it’s in budget, consider hiring live entertainers to play the violin or piano during the shower; one who can take special requests is ideal! Every baby shower should be fun, and music can help accomplish this. Try playing some pop, hip hop, or even some old school classic rock, and watch your guests get into it all and sing along! Want to make it even more fun and funny? Play some music from boy bands that the mama-to-be loved as a child. It will take no time at all to remember all of the words to the songs and reminisce about her past man-crush! Make sure your screen for any explicit lyrics based on your audience’s tastes. Most songs are available in an “edited” version which removes most obscenities. Ask mom-to-be what she doesn’t like: And avoid it. At. All. Costs. 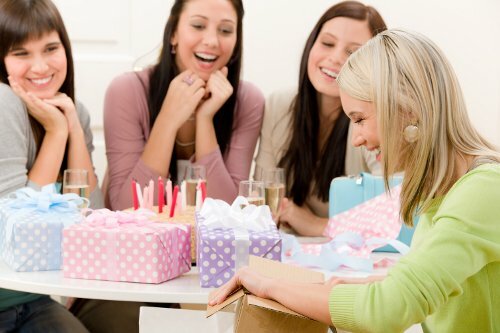 The last thing you want to do is annoy the her at her own baby shower! Don’t make pregnant women angry! Don’t make pregnant women angry: Did I mention not to make pregnant women angry? Take requests: In the rare event that your music selection is bombing at the shower, take requests from guests, using the radio as a last resort. Switch it up: Sometimes it’s a good idea to change up music style. 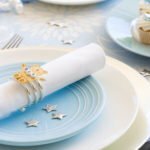 Something more upbeat for while the guests are playing games, and perhaps something more relaxed when it’s time to eat and socialize. Avoid distasteful music: Chances are, the mom-to-be’s mother and even her grandmother will be present, so avoid offensive, distasteful music. Save it for the after party! Now that you have a general idea on some good music for baby showers, it’s time to start your homework to figure out what you will be playing. Don’t forget to refer to tip #2!